surfing for information, attempting to embed a virus in a website. In his best-case scenario, it will give him access to a user’s computer and valuable business information. From the victim’s perspective, it will most certainly short circuit productivity, and could even wreck the entire computer system. According to a recent Spiceworks survey, IT professionals are relying mostly on software level security solutions. 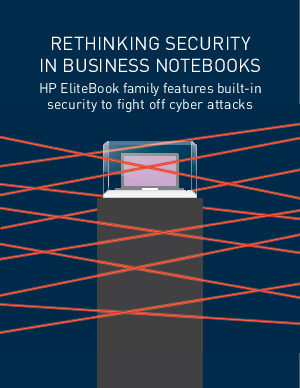 Download this whitepaper to learn how HP Elitebooks block and outsmart security threats.